How are micro and macro structures related to cardiac function? How does this relation change in the presence of disease? And how can MRI help to uncover these changes? The central theme of this Workshop program seeks to provide attendees with an in-depth look at structure and physiology of the heart, and a platform to discuss how CMR may best be used to assess pathological changes thereof. To reach these goals, the program has been organized as a 1½ day Workshop on February 1 and 2 (Wednesday and Thursday) preceding the main meeting. It features keynote opening and closing sessions where a general outlook and the future of the field will be portrayed, interposed with oral abstracts and poster sessions. Each scientific session will focus on a theme linked to a particular mechanism of heart disease. Leaders in the field will introduce the general topic and will be followed by oral abstract presenters. These themes include CMR diffusion, extra-cellular and multi-compartment properties of the myocardium, tissue vitality and cardiac function. The workshop’s dedicated abstract sessions were planned to allow emerging and young scientists to present their work separate from the main meeting and to a more intimate and focused group. This also provides an opportunity to closely interact with the leading authorities in the field. Simultaneously, “rapid fire” poster sessions will provide the presenters with the opportunity to highlight important aspects of their work to a larger audience. This year’s topics for abstract submissions include: tissue microstructure (cardiac DTI/DWI), tissue microstructure – others, extra-cellular volume, multi-compartment perfusion, tissue vitality and mechanisms of transport, cardiac function (cine, strain and others) and novel technologies for probing mechanisms of heart disease. The program is meant to foster in-depth interactions among attendees, not only during the scientific presentations but also during the six breaks in between sessions as well as during the reception and poster viewing hour that is scheduled at the end of Day 1. The workshop targets professionals seeking an in-depth view of basic cardiac microstructure, compartments and function and its characterization by CMR. This includes basic researchers in imaging methods and cardiac translational sciences, PhD students and postdocs, clinicians (cardiologists, radiologists), CMR technologists and members of different ISMRM Study Groups (Cardiac MR, Diffusion, Electro-Magnetic Tissue Properties (SWI), MR Elastography (MRE), MR Flow and Motion Quantitation, and Perfusion). Understand the microstructure of the myocardium, its relation to cardiac function, and its changes in the presence of disease. Understand the basic principles and technical challenges of cardiac diffusion magnetic resonance imaging. Describe recent studies in cardiac Diffusion MRI and evaluate the potential of this technique as a diagnostic tool. Understand compartment models of the heart and how CMR can assess the correlations among them using perfusion, ECV, 13C imaging, CEST and BOLD. Explore global and regional myocardial function mechanics and the application of stiffness imaging, elastography, and tissue tracking. 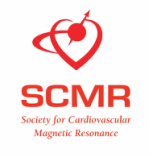 If you are an ISMRM Member, please contact ISMRM at info@ismrm.org or SCMR at meetings@scmr.org to receive the Member discount code prior to registering.